Jane Lindholm hosts Vermont Edition and But Why: A Podcast for Curious Kids from Vermont Public Radio. Like Ear Snacks, But Why usually speaks to kids directly about the real world, but last year they released an episode for parents entitled “How Do You Talk to Kids About Violence in the News?” We spoke with Jane about about creating this episode, how media creators can address difficult topics with kids, and about her own experience as a parent of two young children. We share an excerpt from an interview with an older listener (Grey, 8) that won’t be included in next week’s “Bad Guys” episode, but it illustrates how older kids begin to understand the distinction between pretend evil-doers and people in the real-world who treat others in scary, unkind ways. 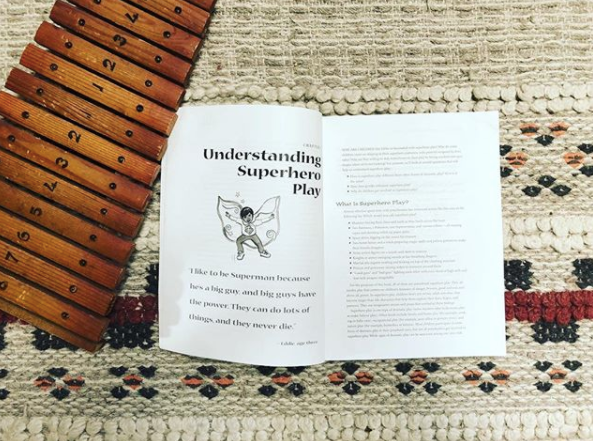 We reference Dr. Robin Gurwitch (child psychologist at Duke University), Teacher Tom Hobson (early childhood educator & author), and Eric Hoffman’s book “Magic, Capes, Amazing Powers: Transforming Superhero Play in the Classroom” — oh, and we also feature an impromptu visit from 9-month-old guest percussionist. We'd love to talk more with you - if you have any comments, feedback or anything to share, please reach us via e-mail or on social media - on Twitter @andrewypolly or on Facebook.